For a very long time, the India Licensing story was dominated by Entertainment Character licensing and more importantly, it had kids licensing called the shots. If it was animated, it must be for kids and more importantly, it must have a strong presence on TV. 5-7 years ago, the story started changing and a new chapter started to take form. Yes, entertainment licensing continues to be the largest piece of the pie (the LIMA Global licensing Industry Survey 2016 reported character and entertainment to be 406 million US$ at retail of the total 1263 million dollars for India ), but a few interesting narratives are now emerging. Merchandising for Young Adults is generating a lot of interest and is growing at a rapid pace and that is encouraging because of its driving growth for the licensing market much faster than the kids’ genre. The second myth that is getting busted is that a successful entertainment-licensing proposition must be a television property. Fashion, Sports and Digital properties which have been big genres globally and are the new kids on the licensing Block in India. But they are sure making their presence felt. Let’s focus on digital properties and the licensing connect. Yes, they are on screen properties, but they rule the roost not on TV (which was an essential tick mark earlier), but on a mobile screen or tablet. 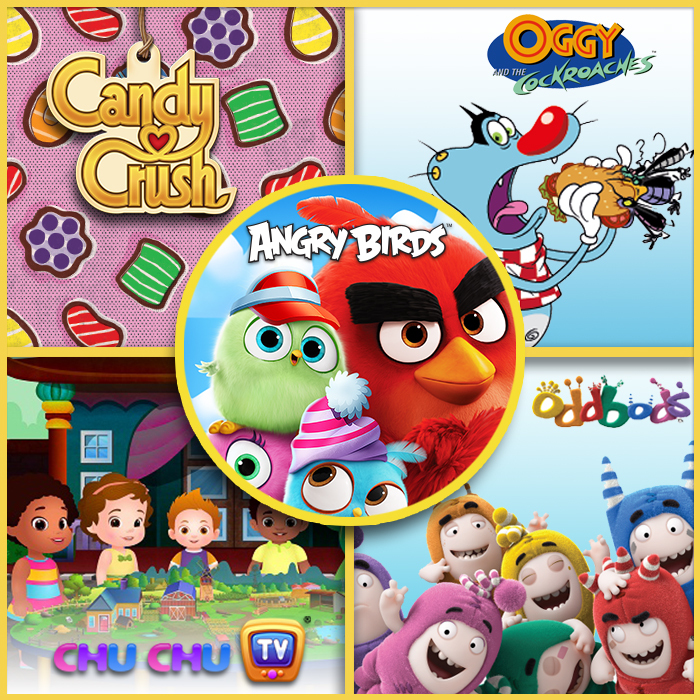 Take two of the properties that Dream Theatre represents in India: Angry Birds and Candy Crush. With 3.7 billion game downloads since its inception and a 97% brand recall, Angry Birds is one of the top mobile games in the world and giving the traditional properties some serious competition in the licensing space. As per Rovio’s 2016 Q3 earnings report, the company’s Brand Licensing division raked in revenues of US$7.9 million. In India, Angry Birds is a very strong licensing proposition too. For a property with zero TV presence back in 2011, it spawned a massive licensing programme with more than a dozen categories and 500+ products – a never achieved before feat for a digital property. The brand has come a long way since and the Angry Birds movie’s box office performance in summer 2016 has catapulted it back into the driver’s seat. It had the top QSR (McDonald’s) and FMCG (Cadbury Gems and Kurkure) partners flocking to it for promotional partnerships and most importantly boosted sales for partners beyond targets. On the licensing front, we continue to add depth and width to its Consumer Products line and supporting partners with retail and consumer activations. Similarly, Candy Crush with hundreds and millions of players has a massive global licensing programme. Activision, the company with franchises like Call of Duty, Overwatch, Destiny, and Candy Crush is generating 300 million US$ from the Consumer Products business alone. Globally Candy Crush fans have apparel, accessories, color cosmetics, food and beverages and a whole host of Consumer products to choose from. In India, Candy Crush is again a very relevant brand with India having 194,179,982 downloads until December 2016, across the Candy Crush franchise, since its launch in 2011. November 2017 saw the launch of the Candy Crush Jewellery line in India as a collaboration with India’s celebrated jewelry designer Mrinalini Chandra. It was the first digital property in India to have a jewelry launch and the excitement has been phenomenal with top fashion magazines, fashionistas and influencers going ga-ga over it. The line is selling on Mrinalini’s website and will debut on Myntra and leading e-commerce platforms in March. So strong is the digital pull in the world of content, that many properties are doing the dual route of being on TV and also available as youtube channels. Oggy and the Cockroaches which is a massive hit on TV globally and in India is raking up huge numbers on their Youtube channels with 1.1 billion views. Oddbods another property making waves on TV has 1.18 billion views on Youtube worldwide and 99 million views from India alone. Which brings us to another recent phenomenon in the Digital licensing world – the rise of Youtube properties. A great example is Galinha Pintadinha, also known as “Lottie Dottie Chicken”. Created in Brazil, Galinha Pintadinha saw millions of downloads and now has a massive licensing programme, giving well-established TV properties some serious competition on the licensing front. As a company, we in Dream Theatre believe that digital licensing has massive potential and will be the language of the future in the licensing world. And we are backing it fully on a global scale. Dream Theatre manages the global licensing programmes for two of the biggest youtube properties: Chuchu TV and Gummy Bear. Originated in Chennai and launched in 2013, ChuChu TV family of channels is the world no.1 channel in the family entertainment genre with 15.86 billion downloads. ChuChu TV plays in the pre-school genre with nursery rhymes, stories and learning apps for toddlers and preschoolers and is watched and adored across 75+ countries. The franchise will see the launch of its licensing programme this year. Gummy Bear is another Youtube property which is a phenomenon in its own right with 10.26 billion views. Launching this summer are Gummy Bear apparel, soft toys, novelty toys, gaming and more! In conclusion, TV and theatrical properties will continue to drive business, but digital properties are the new kids on the block. With the Internet being the medium where millennials consume their content, in coming years digital properties will gain momentum faster as will the licensing opportunities connected with them. And NOW is the time to latch on to them and grow with them. Because grow, they will.